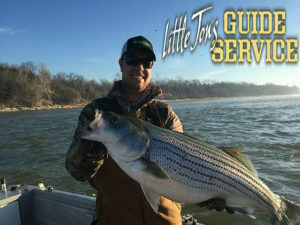 Why You Should Fish with Little Jon’s Lake Texoma Striper Guide Service? You could stop fishing and start catching! 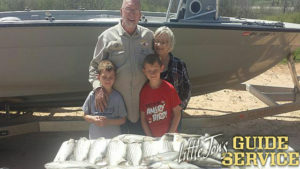 We have over 20 years of striper fishing experience on Lake Texoma. I love seeing the smile on your face when you catch that big one. 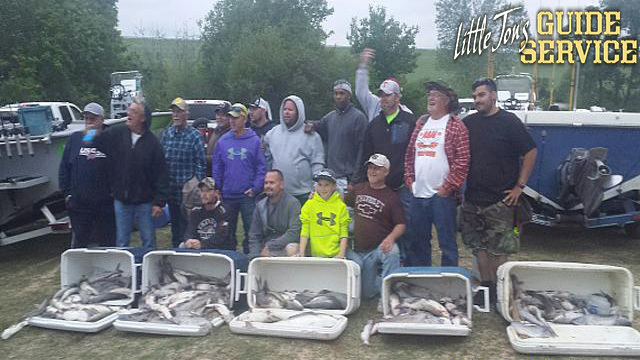 Our boats have won first, second, and third place in the same Striper Tournament. Your trip will be a memorable one. We furnish quality tackle, a well maintained boat, and modern electronics to get you catching quickly. I love to fish and want to share my passion with you. They will have a blast ! We have special $75 rates for kids with a paying adult Monday – Thursday. Give me a call at 580 564 6076 for more information about booking your trip. Don’t forget that we will fillet and bag your fish for you. Last but not least remember that You are guaranteed to catch fish or your next trip is on me. We are current on all Coast Guard licenses, along with Texas and Oklahoma licenses, and we are fully insured. 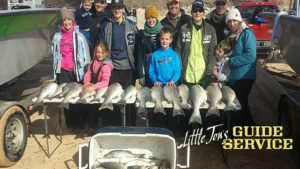 Your fishing trip covers up to 6 hours of fishing. The length of your trip is determined by how well the fishing is going. We try to keep you out at least four hours even when the fishing is really good. The exception to that rule is when we get a limit of fish that are wounded bad enough they can not be released and live then we have to stop fishing. As a general rule I try to keep most of our limit as we catch them. Then we can catch and release fish from that point so if the fish stop biting we don’t go in with just a few fish. 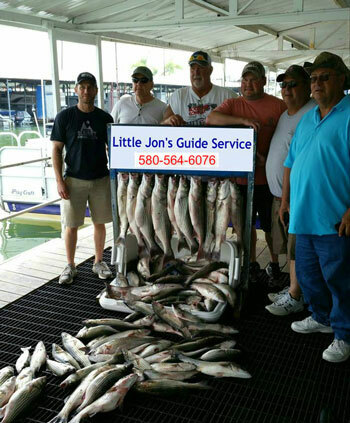 A Lake Texoma Fishing License (available where TX or OK licenses are sold). Appropriate clothing for the weather, including rain gear for rain and boat spray in windy conditions. A cooler for drinks and to take filleted fish home. A camera, if you want to take pictures.